It’s shopping season, people! And you know what that means… finding the perfect gift is on everybody’s mind this time of year. Don’t panic! 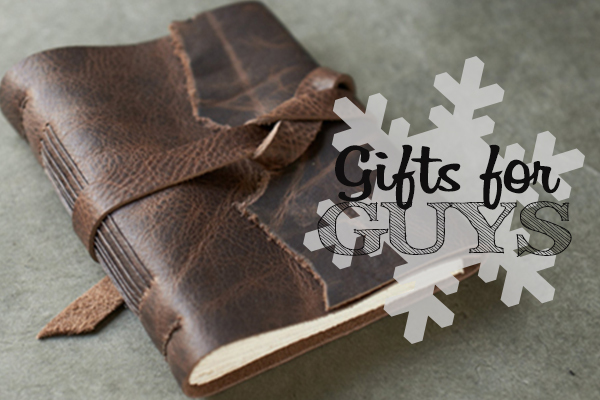 For the next few weeks, I’ll be rolling out gift guides for all types of people on your list. I also have some fun DIY projects in the pipeline, so stay tuned for those too. Handmade gifts are my favorite. I hope everybody has been extra nice this year! 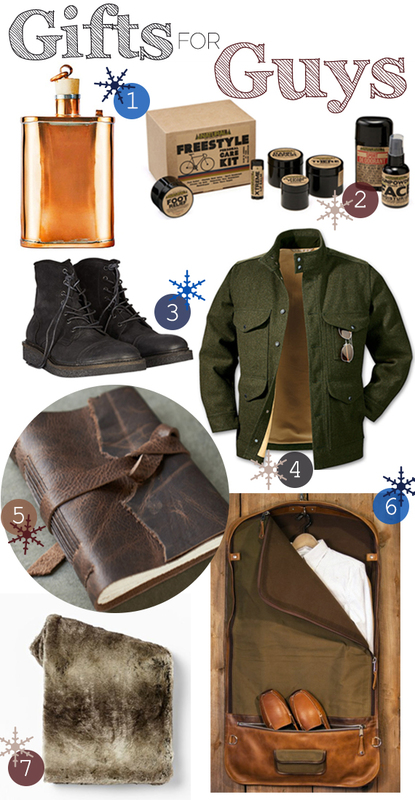 To kick things off, here are some cool gifts for guys. Hipsters, rugged dudes, classy gents, etc. … there’s an idea for every type of man on your list. 1. Copper is always classic, so this flask is all-American. Keeps the body and soul warm for winter. Handmade from Jacob Bromwell. 2. Guys like to groom, too! This Freestyle Care Kit has everything we need. From Uncommon Goods. 3. These blockade boots were made for walkin’ and then some. From All Saints. 4. Even rugged men need some layers to stay warm, so this wool jacket is sure to do the trick. From Filson. 5. When inspiration strikes, it’s good to have a place to take notes. Rustic and leather bound? That’s what I’m talking about! From Etsy. 6. 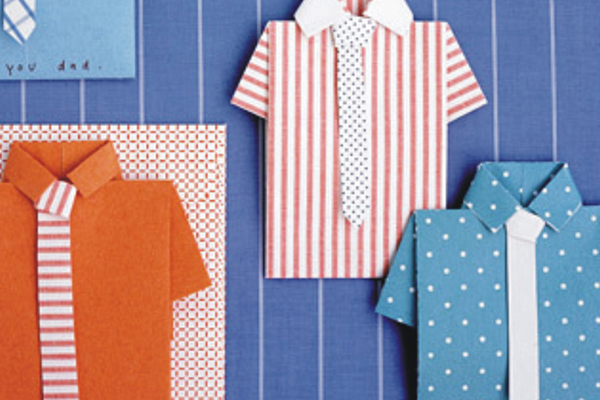 For on-the-go guys, it can be tough to keep clothes pressed and perfect. This garment bag luggage is a great solution. From Buffalo Jackson. 7. Faux fur isn’t just for females! I like to whip out warm layers to preserve the heat all season. From West Elm. Do you have any gift ideas for men? Share them in the comments below. And stay tuned for more gift guides on the site… ‘tis the season folks! 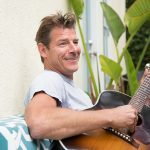 Previous ArticleTy’s Take | Happy Thanksgiving!